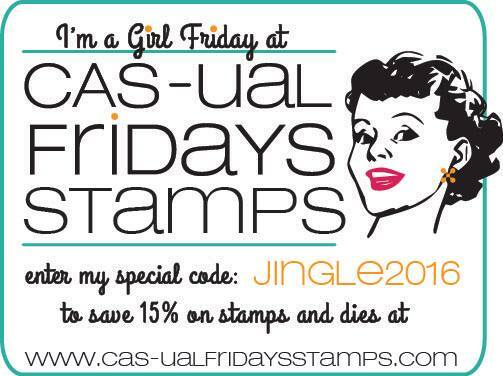 Just Jingle: CAS-ual Fridays Stamps Release DAY 3! YAY! Are you guys having a blast so far? I certainly am! We have two more awesome stamp sets from the new CAS-ual Fridays Stamps July release to share with you today!!! Today we are showcasing one of my absolute FAVORITE stamp sets from this release! It's called Partridge in a Pear Tree and I LOVE it!!! I stamped this super cute stamp and masked off the present on the bottom so I could 'plant' my tree at the bottom of my card. I colored with copics and stamped the solid bird in place. Isn't this image SO FUN?! I seriously love it! For reals. Our second new release is the Starlequin stamp set. First of all... BEST NAME EVER. For REALS. 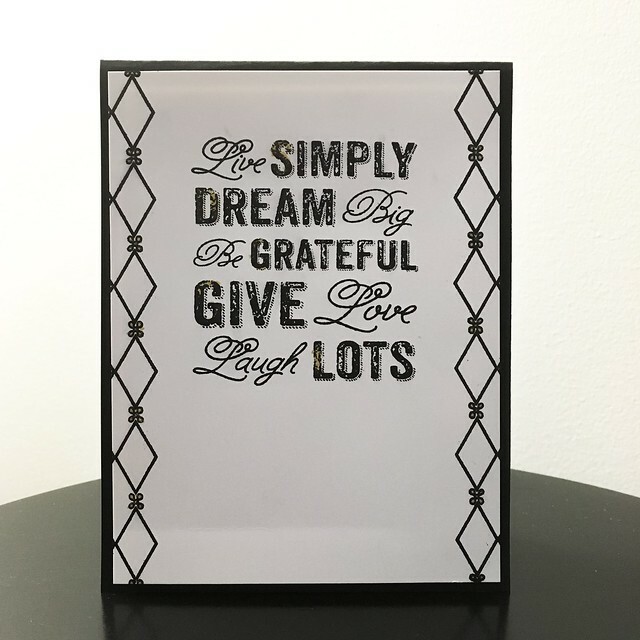 Secondly, I love how this can totally be used both for holiday and for every day designs. I combined it with another favorite stamp set for my card today! Now you simply MUST head on over to the CAS-ual Fridays Stamps blog to check out what the Girl Fridays have created with these amazing new sets! You are going to LOVE the creative ideas everyone came up with! Great cards Jingle, perfect cards for making multiples of and at Christmas time, that's important! Pretty cards! Love that sweet, red partridge! Both very pretty cards from a great set . sentiments but this one works for me. Beautiful cards, amazing coloring and elegant black/white card!